Have you ever imagine that a metal detector can be remote control with waterproof function? 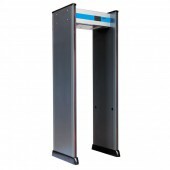 Then this Waterproof Walk-Through Metal Detector with Remote Control can reach this goal. This one has the ability of detecting the region without blind spots and the detecting area to detect all the points is uniformly good. Besides the using of the modular design makes the device convenient to install and easy to rule out failure. Apart from this the equipment owns self-diagnosis functions for there is are built-in self-diagnostic procedures so it owns power-on self test and will give an alarm when there is something wrong. What’s more the sensitivity can be adjusted so that it could in accordance with the appropriate detection sensitivity. In addition, the device is easy to operate and it owns password-protected function and causes no harm to people even like pregnant women. Besides it supports continuous job performance and will not escape detection at any time. What an amazing equipment it is! Are you amazed? Just come here and contact us, you will be satisfied with the high quality goods. Standard:"GB 15210-1994. 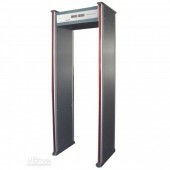 Through-type metal detector door general technical conditions" national standards. Detection procedures:100 sensitivity adjustment may be required on different occasions to meet separately. Basic safety:meeting the requirements of GB4793. Through rate:more than 60 million / per minute. Overall dimension:2220 mm (high) × 810 mm (width) × 500 mm (deep). nice after sales service.Thank you. great product, I like it!